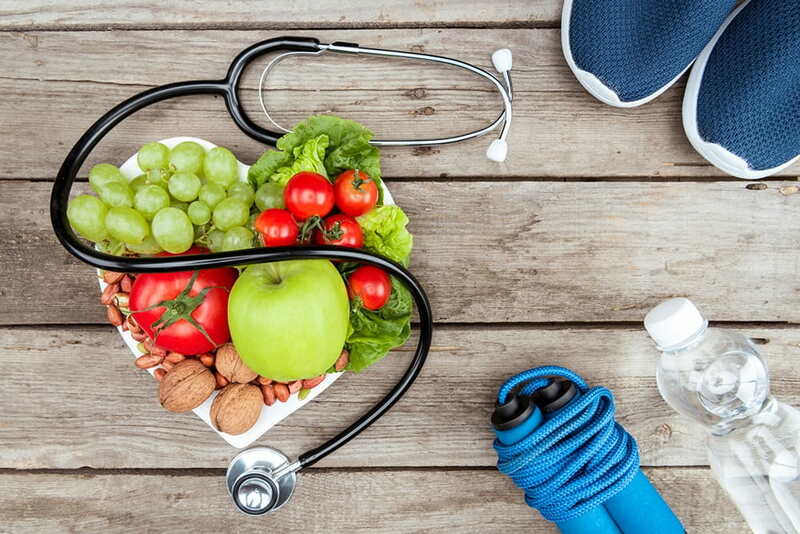 Home » Health & Fitness » Why Are Healthy Habits Important? Because They Make Life Worth Living! The simplest answer to the question of ‘why are healthy habits important?’ is ‘because they make you healthy’. It’s as simple as that, yet once you think about it, you’ll see that the matter is highly complex. Being healthy does not merely allow you to avoid hefty medical bills (although that benefit cannot be discounted). Physical health makes you stronger and reflects on your mental health as well. This allows you to become a happier person overall because no health issues will interfere with your enjoyment of life. And don’t forget that general health will enhance your natural beauty too, so forming healthy habits benefits you on every level. In case you are struggling with any health issues, leading a healthy lifestyle is even more important. This is what can literally make a difference for the quality and even duration of your life. Depression is a major health problem in the modern society. It affects millions of people and contributes to a variety of emotional problems that can ruin people’s lives. It’s safe to say that nearly every person experiences at least one bout of depression, and its milder variations affect people daily. Now think that for all its horrors, depression isn’t the only dangerous mental problem. And all of those are exacerbated by an unbalanced diet and unhealthy lifestyle. Sleep deprivation, stress, and nutritional deficiencies, in particular, are the reasons that bring your mood, emotional stability, and overall mental health down. In the light of this, the importance of healthy habits for your mind is paramount. Personally, I advise switching to a healthy diet with lots of fresh fruits and veggies if you are feeling moody or depressed. If you also add a 30-minute daily walk to it, this might be enough to improve your mood significantly. At the very least, this will help you clear up your mind so you can find a solution to other life’s troubles. The importance of healthy habits for weight control cannot be underestimated. The world is currently suffering an epidemic of obesity as the number of people with this metabolic disorder has tripled since 1975 (WHO). Just under a third of the planet’s entire population is overweight. A healthy lifestyle as well as a balanced diet are the most effective methods of weight loss (Obesity). The benefits of healthy diet and exercise include normalizing (and somewhat speeding up) metabolism and burning fat. With the right plan, you can even lose 10 kg in one month. You only need to adjust that plan to include more calories from good foods when you achieve your weight loss goal. This will allow you to keep that figure you’ve been working so hard for. One of the main reasons why healthy habits are important is the fact that they make you a healthier person. We live in a world where chronic diseases have become the norm. Over 422 million people worldwide have diabetes now, compared to 108 million in 1980. And that number is growing every year, same as for all metabolic disorders. World Health Organization provides detailed statistic reports on the prevalence of chronic health conditions. Those are nothing short of terrifying. And many of those reports include a note that healthy lifestyle habits could have prevented these problems. At the very least, they would have definitely reduced the risk of developing those. And the people who already have those problems can live fuller, happier, and longer lives. They simply need to form good habits that include eating a well-balanced diet and regular exercising. Do you need to get some perspective on the real importance of healthy habits? Researchers proved that maintaining the basic five healthy lifestyle habits might add another decade to your lifespan (Harvard T.H. Chan School of Public Health study). Do you even need other reasons to start creating balanced meal plans and exercise routines? In case you do need another extra reason, think about how healthy habits will boost important processes in your body and give you more energy. That feeling of being ‘weighted down’ and fatigued you have after gorging on junk food would be in the past. If you eat healthy and tasty snacks instead, you’ll be rejuvenated. More energy means you’ll be in a better mood and will be able to complete all your daily plans. This will reduce stress, give you more time to spend with your loved ones and the strength to truly enjoy that time. What Are the Important ‘Healthy Habits’? Maintaining a healthy well-balanced diet that provides you with all essential nutrients. Exercising frequently and regularly (at least a light 30-minute workout daily, walking counts). Consuming only minimal amounts of alcohol (if you want to drink, go for red wine as it helps with preventing and fighting cancer). Keeping your weight within the normal BMI. Why Are Healthy Habits Important for You? For me, the main reason is being healthy enough to enjoy my life to the fullest and spend a lot of quality time with my family. The importance of healthy habits for kids is even greater. If we teach them while they are young, they won’t struggle to maintain those habits so much. And who doesn’t want to see their children live long, happy, and healthy lives? These are my main reasons, and what are yours? What drives you to make and stick to healthy lifestyle changes? I’ll be happy to read about your reasons, as well as ideas on how to form healthy habits, in the comments! Good informative article Agatha. Must add that as a homeworker, healthy habits are crucial. It’s often one area many homeworkers will tend to ignore, but if anything, I think it’s more important here than when physically commuting to work. Yes Roland, it’s often overlooked when you work from home but with the kitchen to hand and sitting down for endless hours at a desk without moving around, and as you say no more communing, it can be a really unhealthy situation. I second that comment, Roland. I found myself putting on weight and feeling low during my first year working from home. Everything on here is exactly what so many homeworkers fail to do. Couldn’t agree more with Anna. Unfortunately, some of us only realize this when we’ve been in this role for a while. It would be great to highlight this more, rather than endlessly talking about social interaction every time those words work from home are mentioned! May just have to work on a piece like this for homeworkers!